Treasure Valley Community College received approval from the Northwest Commission on College and Universities for its Associate of Applied Science Degree in Aviation beginning fall 2013. The strength of the new program lies in the unique partnership between TVCC and Silverhawk Aviation Academy Caldwell. Silverhawk is an FAA approved Part 141 certified flight school and already had veteran's approval for its programs. 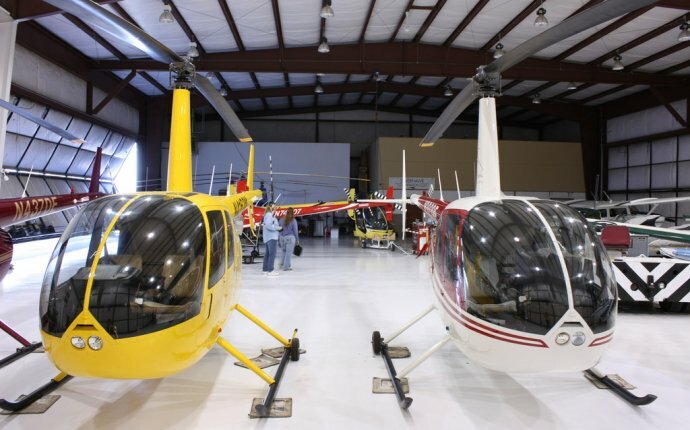 The new partnership will allow students to earn an associates degree while becoming a certified helicopter pilot. The combination of a degree program and flight training also offers financial aid options for eligible students. "This is another example of the type of public/private partnerships that are critical to creating new programs in today's economy, " said TVCC President Dana Young. "A degree coupled with flight certification not only makes these students more skilled, they are also more competitive in this growing industry." Eddie Alves, TVCC's Interim Career & Technical Education Dean, led the year-long process for approval of the Aviation AAS degree program through internal review committees at TVCC and the State. The program was submitted last spring for accreditation review. Official notice came on September 30, will full approval for all classes beginning fall 2013. Alves said TVCC's program aviation degree program was modeled after similar programs that are offered by Portland Community College and Central Oregon Community College, which already have NWCCU approval. "This simply opens more doors and opportunities for students, " he said. "Anytime we can partner with an established, quality training provider like Silverhawk to build a degree program for students, it's a win for everyone, " he said. "Catherine Weber and her team at Silverhawk have been phenomenal to work with and we're already off to a great start." The partnership opens a new range of careers for students, including emergency medical services, power line patrol, tourism, law enforcement, fire fighting, logging, aerial photography, agriculture, border patrol, fish and wildlife counts, and other areas. Flight instruction will be provided by Silverhawk at the Caldwell Airport in Idaho.